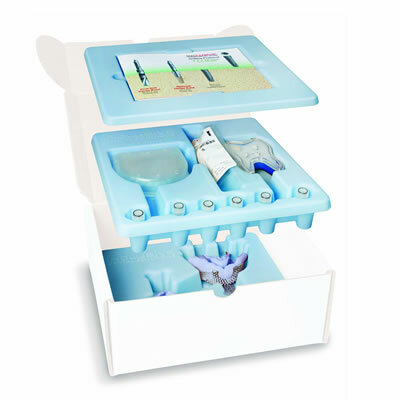 This all-in-one, restorative-based solution includes everything needed to restore a missing tooth. Custom, patient-specific healing, temporary and impression components ensure ideal soft-tissue contours are created from the day of implant placement. A complete case includes: prosthetic guide, implant and surgical drills, BioTemps Implant TCS, custom healing abutment, custom temporary abutment, provisional crown, custom impression coping, and prescription for final Inclusive Custom Abutment and BruxZir Solid Zirconia or IPS e.max crown (delivered separately).